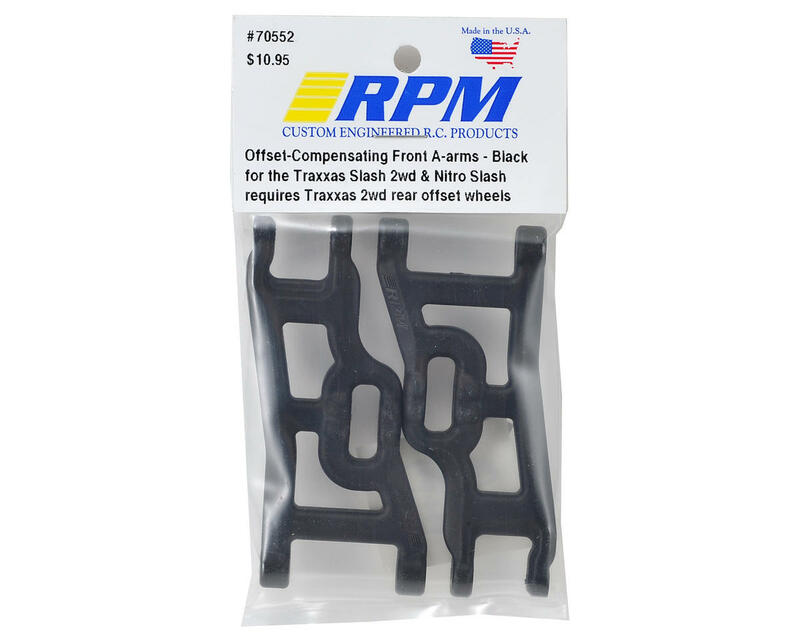 This is a pack of two optional RPM Offset-Compensating Front A-Arms, in Black color. 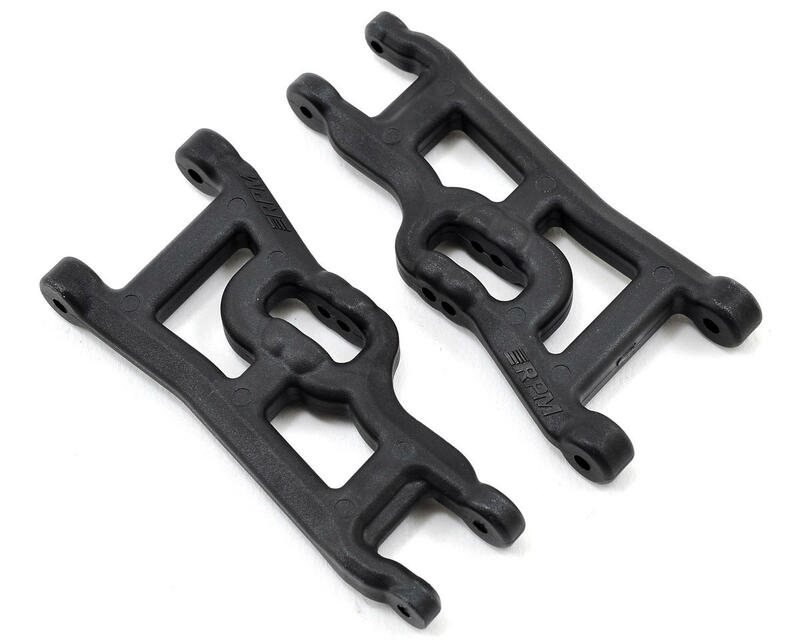 If you’re anything like we are, keeping track of which offset wheel you have lying around for your Traxxas Slash 2wd or Nitro Slash and whether or not the wheel / tire has a front or rear offset can be a bit annoying. This is especially noticeable in the heat of the moment when you’re between race heats and need to slap something on the truck fast. The RPM solution is a simple one, the lengthened the front A-arms just enough to compensate for the difference between front and rear wheel offsets. Now you simply mount up all of your favorite tires on rear offset Traxxas (or RPM) wheels and never worry about different offsets again! Alternately, you can remount rear tires on front wheels and use front offsets all the way around for a little extra width. The extra gain would be roughly 3mm (per side) in both the front and rear (see “Tech Notes” below) and adds stability to the truck. It may not be legal for racing, but who cares when you’re out having fun everywhere else? When you’re on the edge, every bit of stability counts!